U.S. Is Running Out Of Patience With Pakistan, Panetta Says : The Two-Way The defense secretary expresses frustration with terrorists' ability to attack U.S. forces in Afghanistan because they have safe havens in Pakistan. American officials are "reaching the limits of our patience" with Pakistan because that nation continues to allow terrorists to use its territory "as a safety net in order to conduct ... attacks on our forces," U.S. Defense Secretary Leon Panetta said today in Kabul, Afghanistan. "Panetta's explicit and repeated criticism of Pakistan's inaction, which he also voiced in his visit to India, appeared to signal a somewhat tougher stance and a suggestion that the U.S. is becoming even more willing and quick to strike terrorist targets inside Pakistan. A senior U.S. official acknowledged Thursday that the recent increase in drone strikes on insurgents in Pakistan is due in part to frustration with Islamabad. The official spoke on condition of anonymity to discuss sensitive operations." 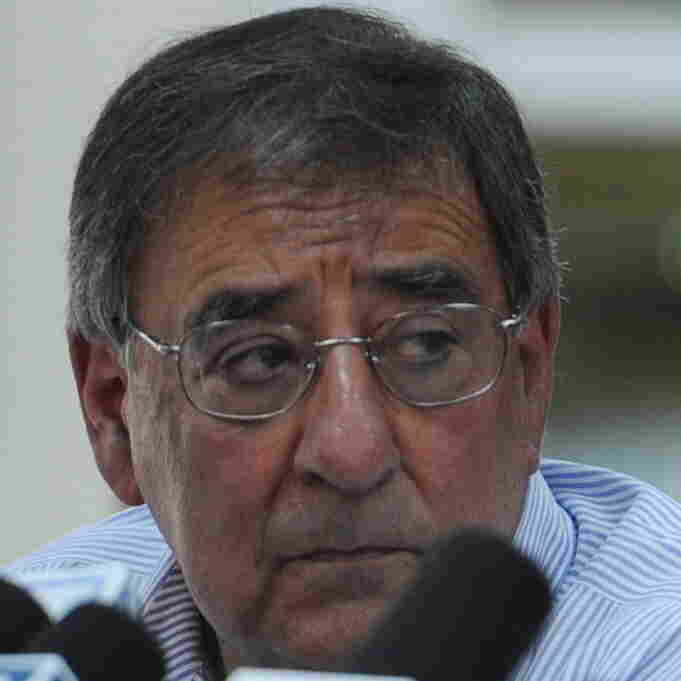 Of particular concern, Panetta said, are fighters from the al-Qaida-linked Haqqani terrorist network. Having them crossing the border into Afghanistan and attacking coalition forces is an "intolerable situation," Panetta said. Defense Secretary Leon Panetta earlier today in Kabul. Reports about his news conference do not say whether Panetta discussed what steps the U.S. might take to pressure Pakistan to do more. The U.S. has given Pakistan billions of dollars in military and other aid since the Sept. 11, 2001, terrorist attacks. Last month, the Senate voted to trim $33 million from an upcoming aid package — $1 million for every year of a sentence imposed on a doctor who the U.S. says assisted in the hunt for Osama bin Laden. The defense secretary visited Afghanistan on his way home from a trip through Asia. His visit follows Tuesday's deadly attack at a market near the Kandahar Air Field used by U.S. and coalition forces. Suicide bombers killed more than 20 civilians. "But analysts [also] believe that Pakistan is reluctant to open a new front in its fight against militancy by attacking the Haqqani network, believed to be in the tribal region of North Waziristan."